Me no hear, see, या say anything about it. While Rico swallows Number 12 (a concoction of nasty कचरा, जंक, रद्दी kowalski made for him so he can barf up teh bomb) the other three penguins cover their mouths, eyes, या ears. 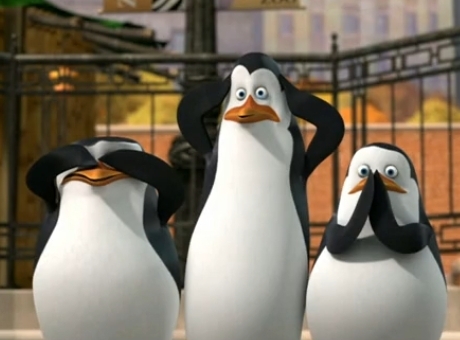 :o. Wallpaper and background images in the पेंग्विन्स ऑफ मॅडगास्कर club tagged: penguins of madagascar kowalski rico skipper private all choked up :o.